Not all non-compete agreements are subject to strict scrutiny. Most covenants contained in employment contracts are, but that is not always the case. A recent case out of Georgia illustrates an interesting exception to this rule. Four shareholders, including Boyce, owned a computer services company from 1995 to 2001. In 2001, Boyce and one other shareholder sold certain shares to an LLC, which gained control of the company following the sale. In connection with the stock purchase agreement that Boyce signed, he entered into a new employment contract with the company, American Control Systems. His employment agreement contained an industry non-compete covenant, as well as a non-solicitation and non-disclosure agreement. Several years later, Boyce resigned to work with his wife's information technology company. ACS filed suit, claiming his employment violated the non-competition covenant. Boyce argued for strict scrutiny of the covenants, claiming they were overbroad under Georgia's highly favorable law governing employee non-competes. ACS disagreed and argued that strict scrutiny did not apply, contending the covenants were executed in connection with a stock purchase and should be subject to the sale-of-business analysis of low scrutiny. 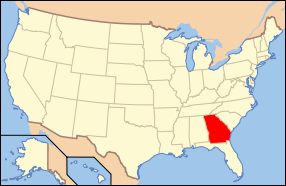 In Georgia, a sale-of-business covenant can be blue-penciled or reformed to make it reasonable. That is not the case with employment covenants. Classification of a covenant, therefore, can be outcome-determinative in a state like Georgia. The Court of Appeals agreed with ACS, finding that although the covenant was contained in an employment agreement, it was a condition precedent to the stock purchase agreement between Boyce and the majority shareholder. Also relevant to the court's finding was Boyce's status as an existing shareholder and the fact he was in a relatively similar bargaining position as the covenantee. Attorneys analyzing the enforceability of non-competes always must examine context. If the covenants were typical at-will employee covenants, strict scrutiny usually applies. If they were executed in connection with a business transaction, then it is far more likely a different reasonableness standard will apply.